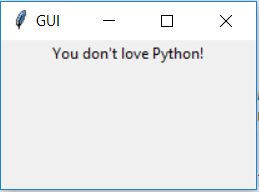 In this tutorial, you are going to learn how to create GUI apps in Python. You'll also learn about all the elements needed to develop GUI apps in Python. Hi, Welcome to your first Graphical User Interface(GUI) tutorial with Tkinter in Python. 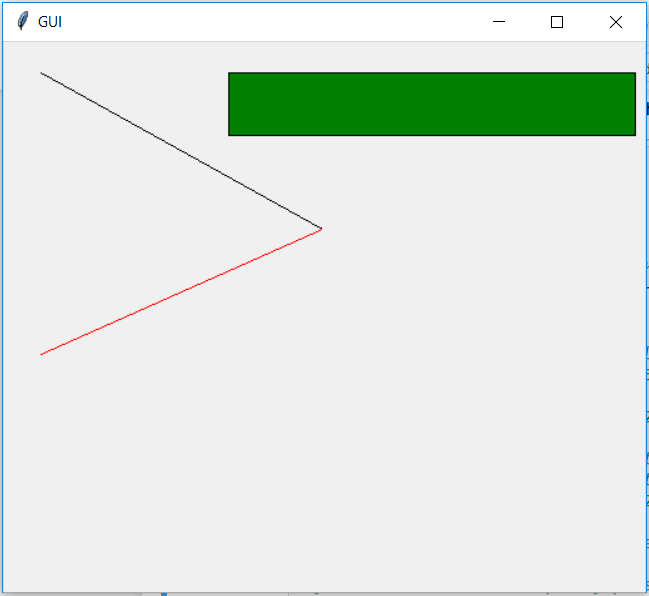 In this tutorial, you will learn how to create GUI apps in Python using the Tkinter module. You should be familiar with the Python to learn Tkinter. If you don't know how to code in Python, I recommend you to take this free Datacamp Python Course. You can also read the Python Official Documentation if you want. 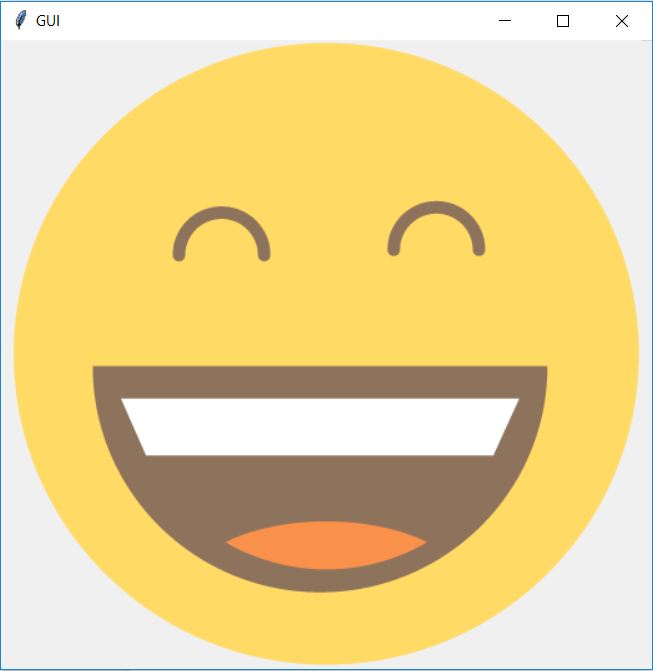 GUI is a desktop app which helps you to interact with the computers. They are used to perform different tasks in the desktops, laptops, other electronic devices, etc.., Here, we mainly talking about the laptops and desktops. GUI apps like Text-Editors are used to create, read, update and delete different types of files. GUI apps like Sudoku, Chess, Solitaire, etc.., are games which you can play. GUI apps like Chrome, Firefox, Microsoft Edge, etc.., are used to surf the Internet. They are some different types of GUI apps which we daily use on the laptops or desktops. We are going to learn how to create those type of apps. 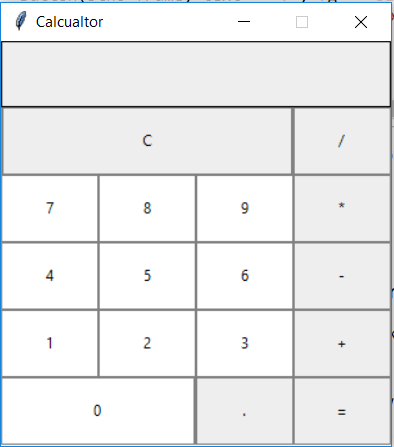 As this is an Introduction to GUI, we will create a simple Calculator GUI app. Tkinter is an inbuilt Python module used to create simple GUI apps. It is the most commonly used module for GUI apps in the Python. You don't need to worry about installation of the Tkinter module as it comes with Python default. I am going to use Python 3.6 version. So, kindly update Python if you're using below versions. To install the latest version of Python in Windows go to Python Official Website then, download and install the exe file. Go to Python Official Download Page, download Mac OS X and install in your machine. Follow this tutorial along with the practice so, that you can understand it very quickly. Don't copy the code. Try to write by modifying it as you like. Run the following code to create a simple window with the text Hello World!. Initialize the window manager with the tkinter.Tk() method and assign it to a variable window. This method creates a blank window with close, maximize and minimize buttons. Rename the title of the window as you like with the window.title(title_of_the_window). Label is used to insert some objects into the window. Here, we are adding a Label with some text. pack() attribute of the widget is used to display the widget in a size it requires. Finally, the mainloop() method to display the window until you manually close it. That's a basic program to create a simple GUI interface. You will see a similar window like this. Widgets are something like elements in the HTML. You will find different types of widgets to the different types of elements in the Tkinter. Let's see the brief introduction to all of these widgets in the Tkinter. Button:- Button widget is used to place the buttons in the tkinter. Canvas:- Canvas is used to draw shapes in your GUI. Checkbutton:- Checkbutton is used to create the check buttons in your application. You can select more than one option at a time. Entry:- Entry widget is used to create input fields in the GUI. Frame:- Frame is used as containers in the tkinter. Menu:- Menu is used to create menus in the GUI. I mentioned only some of the widgets that are present in Tkinter. You can find the complete list of widgets at official Python documentation. Tkinter has the following three Geometry Manager classes. grid():- It organizes the widgets in table-like structure. You will see details about grid later in this tutorial. place():- It's used to place the widgets at a specific position you want. To arrange the layout in the window, we will use Frame, class. Let's create a simple program to see how the Frame works. Frame is used to create the divisions in the window. You can align the frames as you like with side parameter of pack() method. Note:- The parameter of any widget method must be where to place the widget. In the below code, we use to place in the window, top_frame, bottom_frame. Above code produces the following window, if you didn't change the above code. If you run the above code, you will get the output something similar to the following. Grid is another way to organize the widgets. It uses the Matrix row column concepts. Something like this. See the below example to get an idea of how it works. Calling functions whenever an event occurs refers to a binding function. 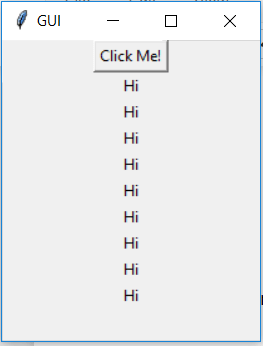 In the below example, when you click the button, it calls a function called say_hi. Function say_hi creates a new label with the text Hi. # in this above case we're calling the function 'say_hi'. The above program will produce the following results. Another way to bind functions is using events. Events are something like mousemove, mouseover, clicking, scrolling, etc..,. The following program also produces the same output as the above one. Here, we are binding the left click event to a button. You can bind it to any other widget you want. Clicking events are of 3 different types namely leftClick, middleClick, and rightClick. Now, you will learn how to call a particular function based on the event that occurs. 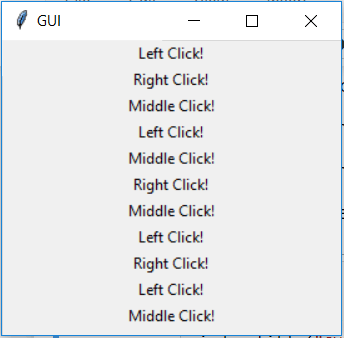 Run the following program and click the left, middle, right buttons to calls a specific function. That function will create a new label with the mentioned text. 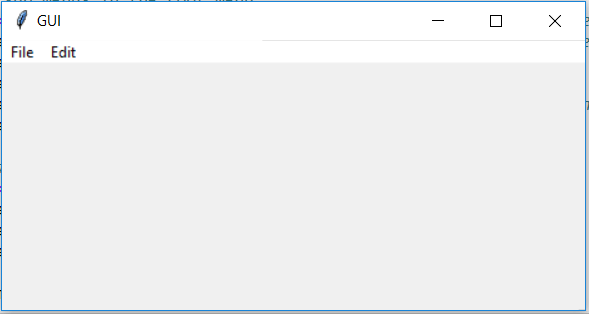 If you run the above program, you will see a blank window. Now, click the left, middle and right button to call respective functions. You get the something similar results to the following. Classes is handy when you're developing a large software or something that's big. Let's see how we use Classes in the GUI apps. The above program produces the output something similar to the following. I hope all of you know what drop-down menus are. You will create drop-down menus in tkinter using the class Menu. Follow the below steps to create drop-down menus. You have to tell the tkinter to initiate Menu using window_variable.config(menu = para) and it takes a parameter called menu which is the root menu you previously defined. Now, creating sub menus using same method tkinter.Menu(para) and it takes the parameter root menu. root menu.add_cascade(para1, menu = para2) creates the name of the sub menu, and it takes 2 parameters one is label which is the name of the sub menu, and another one is menu which is sub menu. sub menu.add_command() adds an option to the sub menu. Let's see the example to understand it fully. You will see the output something similar to the following. Click to the File and Edit menus to look at the options. You can create alert boxes in the tkinter using messagebox method. You can also create questions using the messasgebox method. 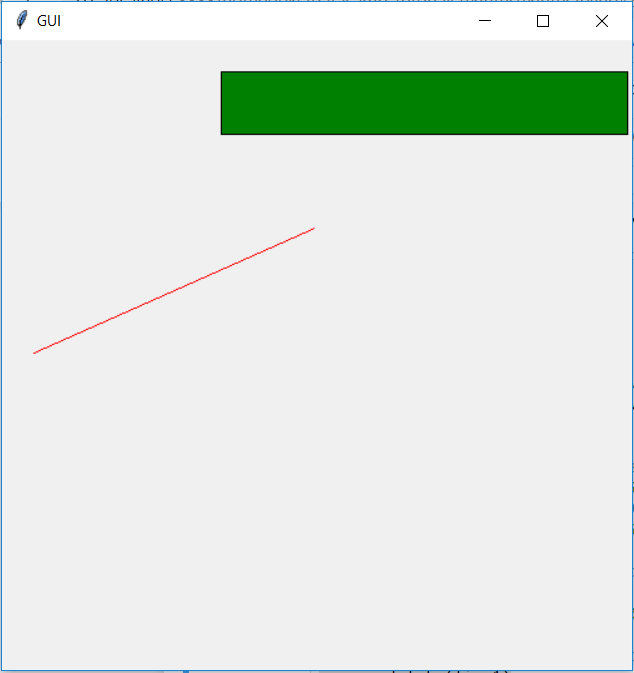 You are going to draw some basic shapes with the Canvas provided by tkinter in GUI. # you 'delete' shapes using delete method passing the name of the variable as parameter. 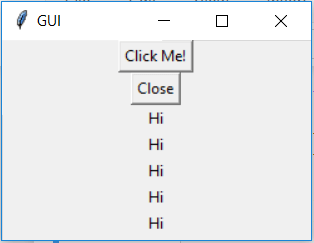 You will see the following shapes in your GUI window. Just run dir(tkinter.Canvas) to see all the available methods for creating different shapes. You can add Images and Icons using PhotoImage method. You can see the icon in the GUI. To develop simple GUI apps. Now, we're going to create a simple Calculator GUI with all the stuff you have learned till now. Every GUI apps include two steps. See the Calculator which you have made. If you have any doubt in the above code, feel free to ask in the comment sections. What you have learned in this tutorial is fair enough to make some simple GUI apps. You have to learn more methods for styling and interaction with the objects in GUI. You can't find the complete documentation of tkinter anywhere. But, learn it by doing and asking someone who knows tkinter well. Hope you enjoyed this tutorial. Happy Coding! If you would like to learn more about Python, take DataCamp's Python Data Science Toolbox (Part 1) course.